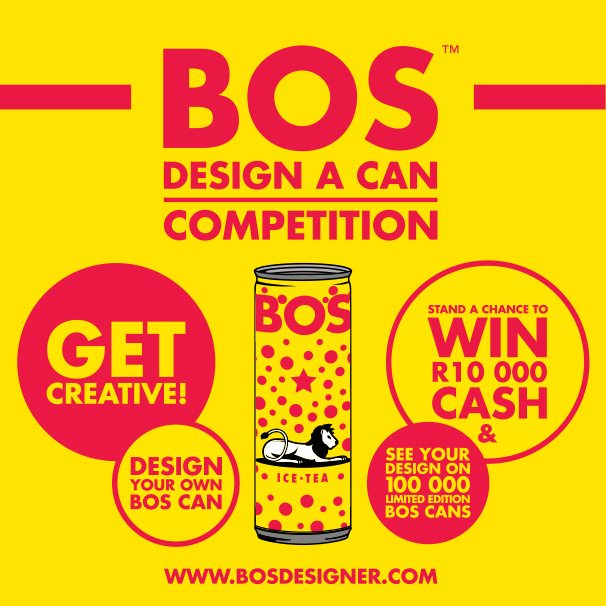 Calling all creatives – create your own BOS ice tea can design for their limited edition summer flavour! That’s right – there’s a limited edition flavour hitting the BOS stable this summer and YOU are being asked to “Go BOS” and design the can! They’re after a unique design and are offering the winner a R10 000 cash prize as well as the opportunity to see their design on 100 000 limited edition cans in store!!! Visit www.BOSDESIGNER.com to unleash your creativity and stand a chance to win! Make sure you follow BOS on Twitter: @BOS, Facebook and Instagram: @bosicetea for all the exciting updates & entries.